Two 31/2 foot pieces made of spray-paint, and vinyl lettering for BY WAY OF magazine's show Feminine Product. 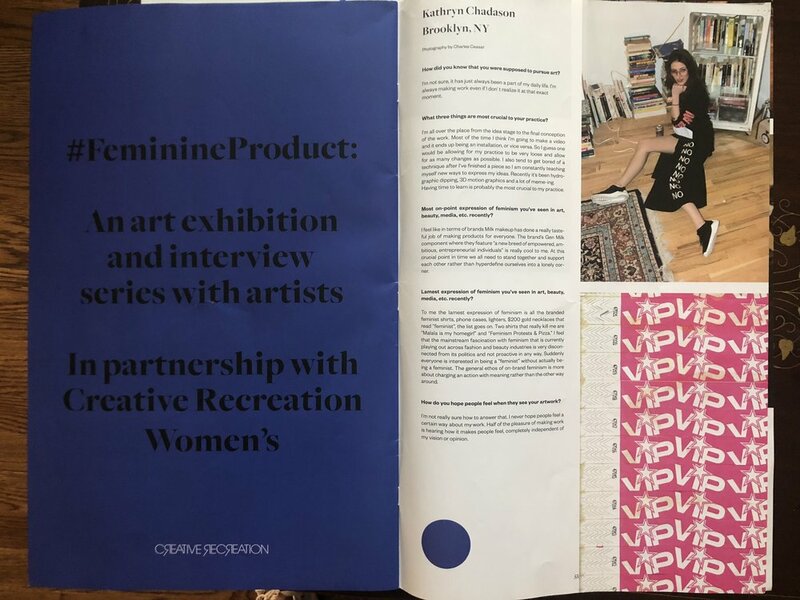 By way of Us teamed up with 16 female artists in Downtown LA to bring us FEMININE PRODUCT: An Exhibition of Women’s Work. Curated by Arielle M. Myers of the Boulder Museum of Contemporary Art, artist Lynsday Milton Elkin, and BY WAY OF’s editor in chief, Sarah Kim, the exhibition explores topics such as male desire, and the ways in which women have been objectified or used as canvases for consumerism – despite the countless influential women who, throughout history, have broken down the many barriers placed in our way.